Cruise Planners is offering an exclusive CP Vacations package aboard the Star Flyer. Star Flyer is a modern cruise ship, created for luxury-loving people who also love the traditions and romance of the legendary era of sailing ships. 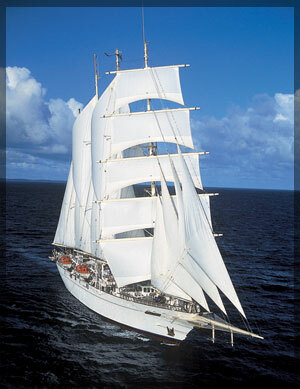 Star Flyer is 360 feet long and carries just 170 guests in pampered comfort. Amenities include spacious accommodations and ample space with two pools and more. Life onboard is much like a fabulous life on a private yacht. Join us along with other luxury-loving LGBT travelers, allies, friends and family and sail with pride on the Star Flyer from Star Clippers. Deposit of $800pp due by June 15, 2016. Final Payment due by December 1, 2016. Rates are lead-in category, subject to availability and may change at anytime prior to deposit. All rates based on double occupancy/cruise only in US Dollars. These rates are not combinable with any promotion.